There are 17 reviews of Cologne Sologne. A beautiful, light cologne strength splash in spray bottle. Excellent neroli note, along with bergamot, orange, lemon, rosemary, lavender, patchouli and some light musk. As mentioned, this doesn't really progress much from the opening, but who cares...it's a fabulous fragrance, perfect for this time of year with the hot weather. I know Sologne is an area in France, but the name of this fragrance makes me think of the Oreo commercial. This is a great light fragrance perfect for Summertime. There is a soap note similar to Creed Himalaya. It differs from Creed in that there is more citrus. It reminds me of a Penhaligon's - perhaps Blenheim Bouquet. Super pleasant, airy-citrusy white floral scent which makes great subtle use of rosemary; It's like 'almost-lime.' Little here in the way of movement or progression, but its a suave, natural splash-on for the warmer days of the year. Highly recommended for those looking for a slightly better 4711. Brisk green notes, bittersweet citrus and smooth lavender open Cologne Sologne in the classic eau de Cologne manner. Some woods, orange blossom, and additional aromatics appear in the background, but again in traditional eau de Cologne manner, there isn't much more to the development. Cologne Sologne is very smooth and nicely balanced, but I don't find much that's unique or individual about its composition. Nice, but no more than that. A good traditional citrus cologne. High quality. I like it better than AdP Colonia. Longevity is what you'd expect. Probably in the top tier of the genre, but still nothing ground-breaking. This may be my favorite eau de cologne. Stronger than 4711, less salty than Jean Marie Farina (which also ranks high), and less floral than another favorite, Richard James Cologne. It could also stand in as a Gendarme-type soapy scent. It opens similarly to 4711 with a very brisk lemon (seems like both peels and flowers), lavender and rosemary. It has just a bit of the creamy spiciness of the lemon in Allure Edition Blanche, and gets more sour over time until the citrus blossoms finally return far into the base. Most importantly, though, it stays stronger for longer than most others in this family, and takes longer to progress. The only drawback is that it has a bit of a Mugler Cologne-like slimy soap residue aura far into the drydown, but it's not much. There are no member images of Cologne Sologne yet. Why not be the first? 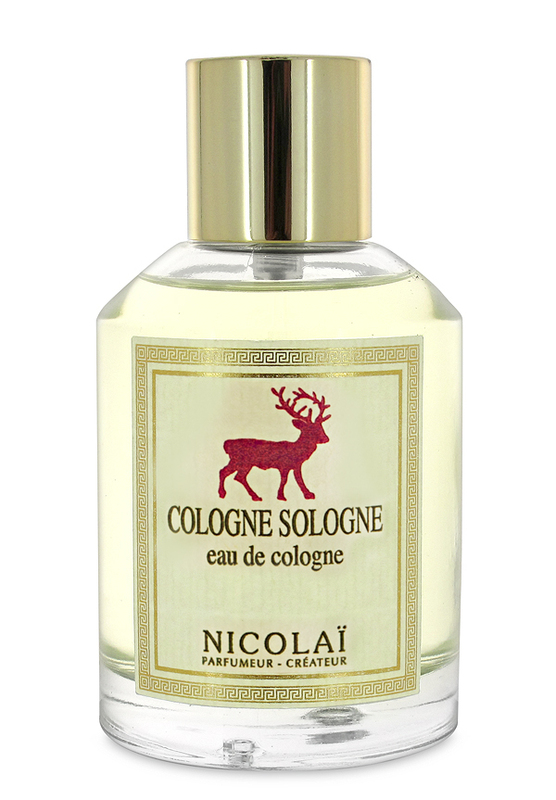 Nicolai Cologne Sologne vs Fragonard Grand Luxe Cologne?